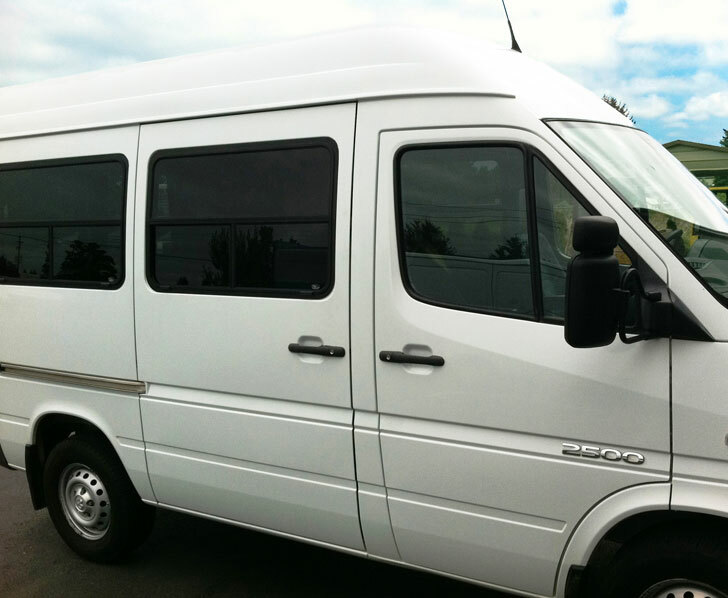 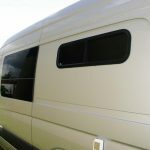 We make sure that your van conversion project turns out as good as possible by providing you with windows for Mercedes Sprinter conversion, even Dodge and Freightliner, assembled from components of the highest quality—great value at a price you’ll appreciate. 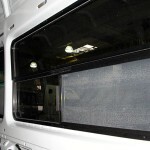 With 40+ years of vehicle custom glass experience, we’ve built a strong reputation as the leader in the industry. 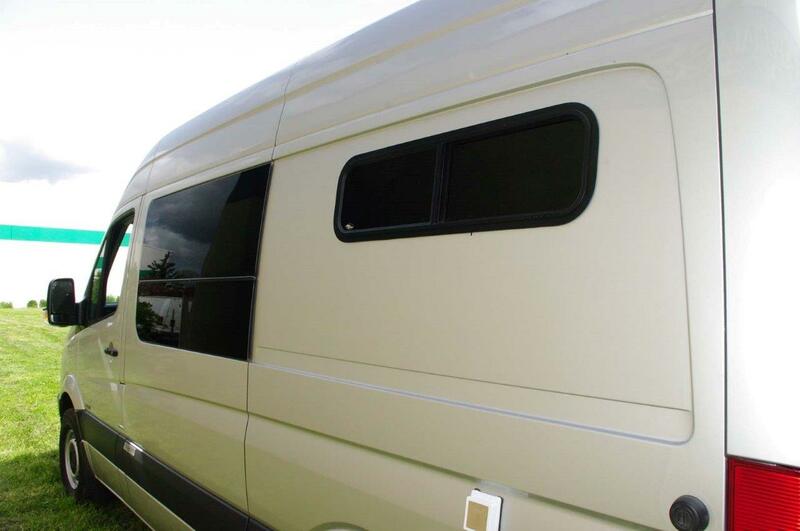 We manufacture our windows from extruded aluminum frames that are finished with automotive-grade powder coating and fitted with 1/4” safety glass dark gray (standard) or clear (upon request). All Sprinter van side windows are configured with a “T-slide,” in which the top half of the window is stationary and the bottom half slides open sideways. 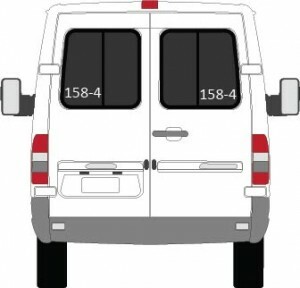 (See picture below.) 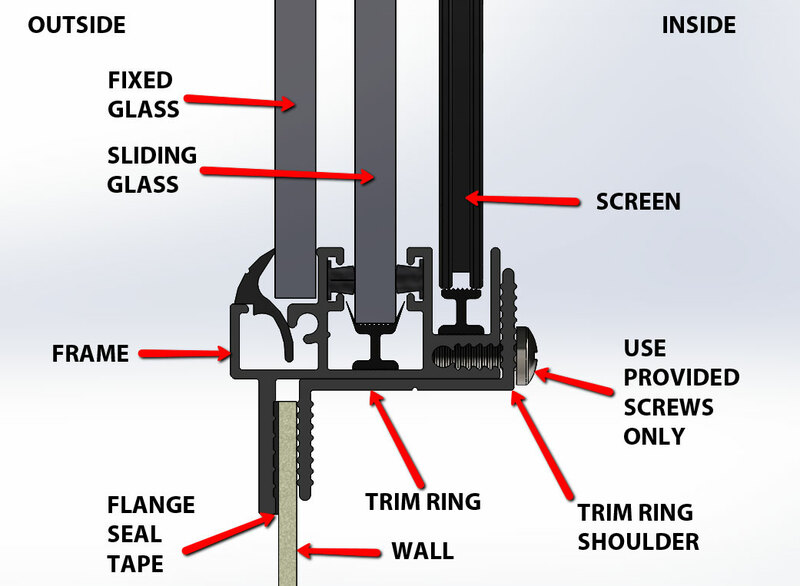 T-slide window standard features include sliding screens, black color-matched stainless steel mounting screws, and interior clamp-rings. 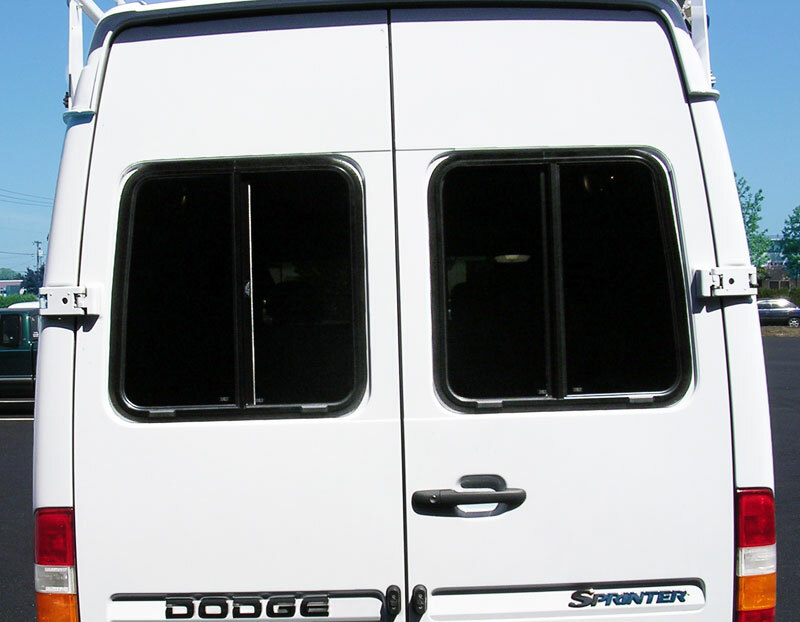 Each Sprinter van window is custom made. 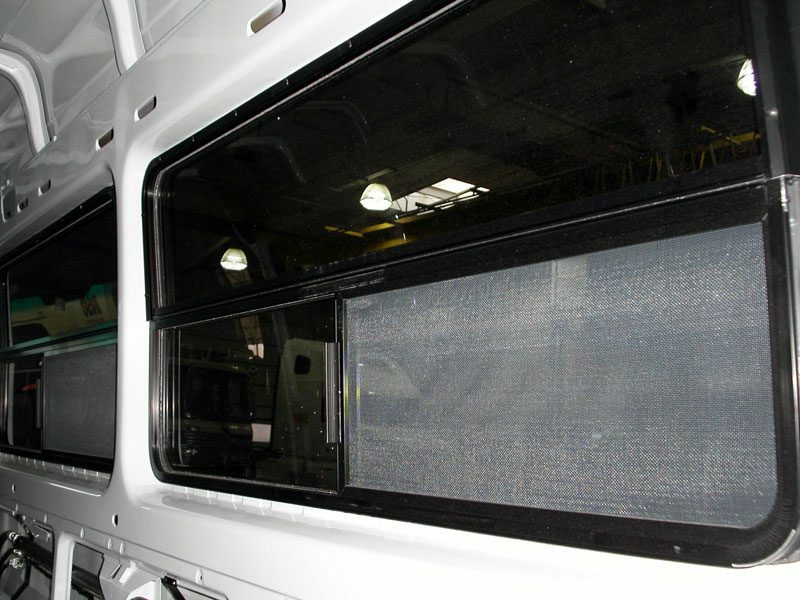 Because we build each unit to order, you can expect to receive your windows 30-35 days after you order them. 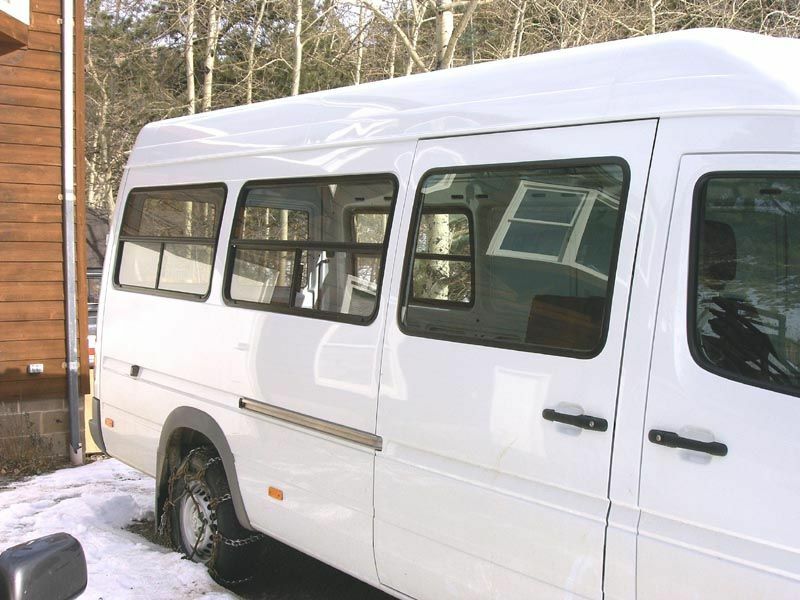 This may vary based on current backlog. 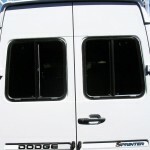 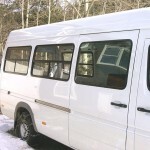 For New Generation (2007-Present) Sprinter, check out these conversion sprinter windows. 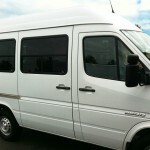 Below are photos of recently completed conversion projects, as well as installation dimensions.